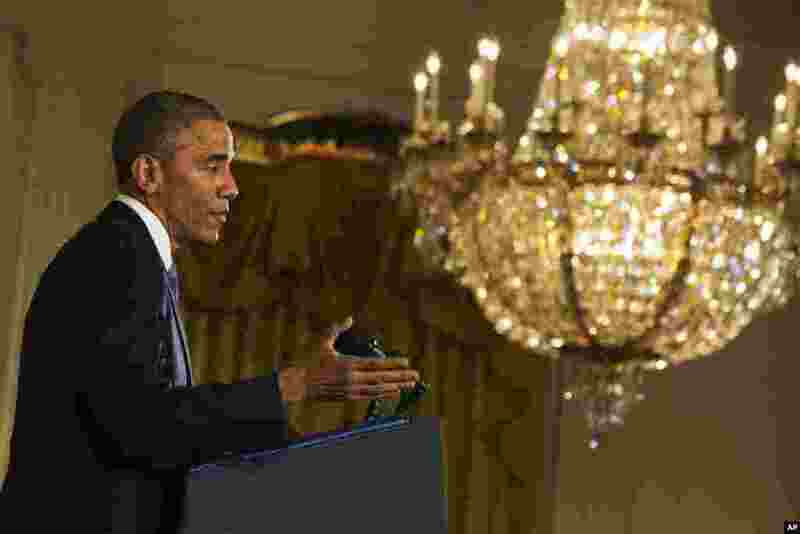 1 President Barack Obama speaks during a news conference, telling Americans who voted for change: "I hear you," in the East Room of the White House, Nov. 5, 2014, in Washington. 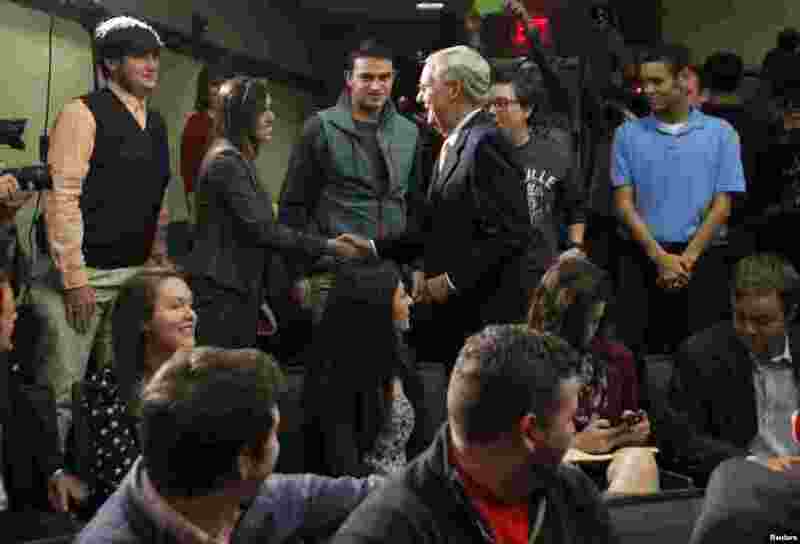 2 U.S. Senate Minority Leader Mitch McConnell talks with University of Louisville students after a news conference on the day after he was re-elected to a sixth term to the U.S. Senate, University of Louisville, Louisville, Kentucky, Nov. 5, 2014. 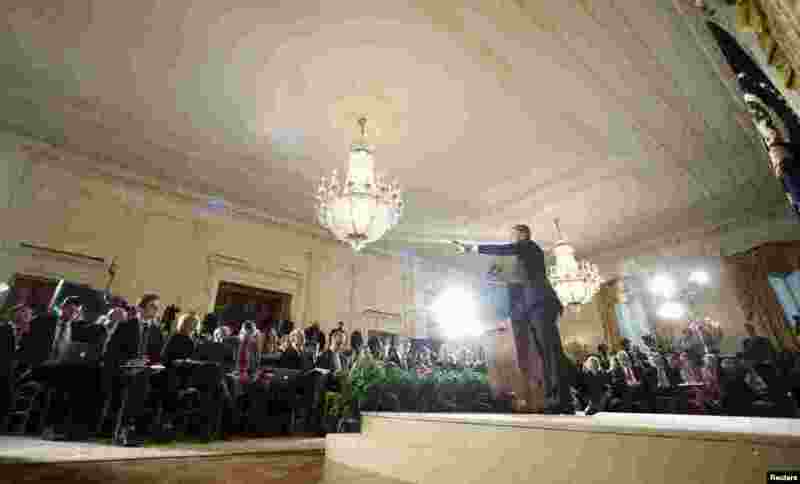 3 U.S. President Barack Obama addresses reporters during a news conference saying that the Republican victories Tuesday in the midterm elections are a sign Americans want Washington "to get the job done," in the East Room of the White House in Washington, Nov. 5, 2014. 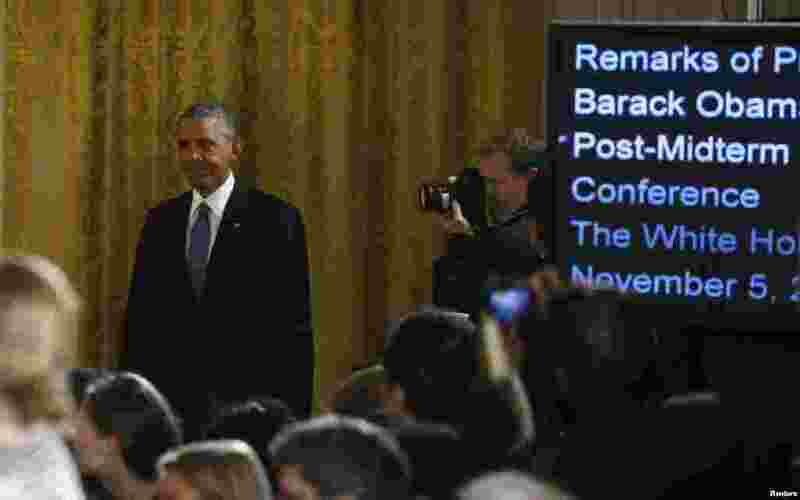 4 U.S. President Barack Obama arrives for a news conference in the East Room of the White House in Washington, Nov. 5, 2014.